Here at Stator Electrical Solutions Ltd, we encourage our customers to use energy efficient LED lighting which will save lots of money in energy costs and also help the environment. Often some of the unseen benefits are that LED lighting lasts much longer than other types of lamps and fittings, meaning less maintenance is required. LED lamps also hold their output levels for much longer, so will light up your workplace much brighter for longer. 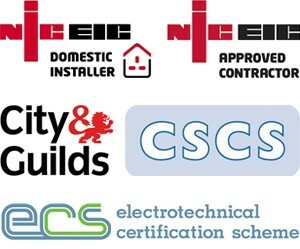 We also offer advice on how to obtain grants or earn cashback from the government by saving energy. The most common lighting in offices is recessed modular lighting which is installed in to false ceiling grid systems. We've installed many thousands of these, and upgraded to LED panel lights to help our clients to reduce costs, save energy and improve the lighting in their buildings. Many of our clients have chosen to have floodlights or uplighters installed to create a different feel and mood within their property. Often, external lighting is a matter of health & safety and businesses have an obligation to meet the requirements. Installing and maintaining good external lighting gives your prospects a great impression of the type of business and the values it holds. We often work to improve or maintain the external lights for health & safety reasons, but also for functional reasons. Working with leisure facilities, car parking and storage facilities means we regularly need to provide a suitable lighting solution to give the best light levels for sports, security, events and marketing. How does your business look to others who can only see the outside of the building? If you are a leisure centre or sports facility, having the best lighting is crucial. We are regularly required to provide a suitable lighting solution to give the best light levels for sports, events and other activities. Lighting is so important in the retail environment. It has been proven that if the lighting is not suitable, then your products will not sell! Please don't hesitate to call us if you have a question or you want to enquire about our services.